Home Ulpan is located in Ramat Yishay, a pleasant pastoral village in the heart of the very picturesque Jeazrael valley. 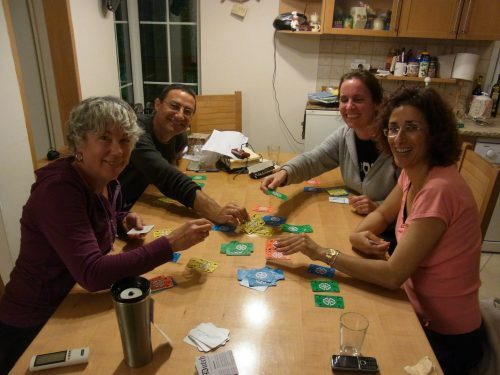 During your home stay in Ramat Yishay you might want to enjoy the active life in the region. The community is very active also at evening/night and during weekend. There is a good Jim, a swimming pool (in the winter only in the vilage nearby), falks dance every week, Kareoki rooms Beit She’arim National Park and more. Haifa, Nazeret, Acre Cesary and more cities, all located not more then 30-45 minuests travel by car. Also buses and trains available all day long. The village has 2 centers. One small with Supermarket, and a few coffee shops 10 minuets walking distanse from Ramat Yishay. The second is a new street mall in Ramat Yishay. Students love waking there (25 min walking distance) and enjoy sitting and doing homework in more than 10 restaurants and coffee shops.